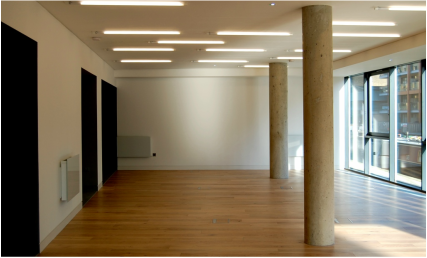 We are London based building contractor providing office refurbishment, office improvement and office maintenance services for commercial customers across the capital. If you are looking to undertake any kind of above works, we are well placed to provide you with an excellent service. For architects or customers who already have a designer within a project, we can serve purely as a building contractor. 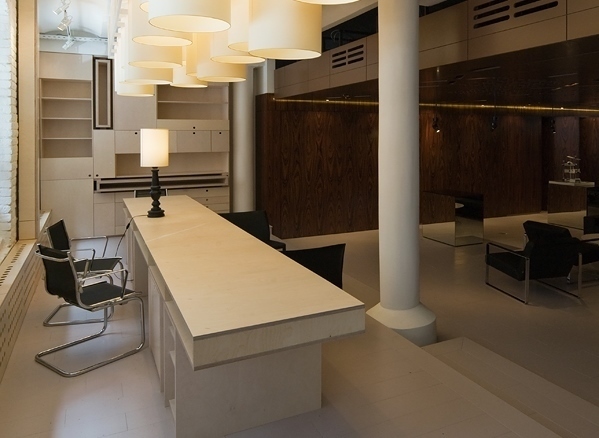 Furthermore, to building and office fit out London service we can prepare technical specs, provide technical drawings and details to various parts of the project. If you are a decision maker and you search for both: design & build service at once, we are more than happy to introduce an architect or designer and run your project on “design and build” principles. 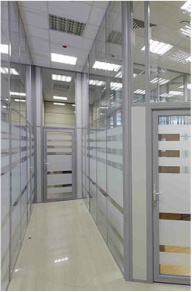 Moreover, we serve customers who consider smaller projects, like amendments or alterations to existing office. For most of services that we provide, we directly employ construction, technical and other building related specialists with various skills and knowledge. For services that we don’t cover in-house, we collaborate with well established and reliable sub-contractors. In addition to construction and fit out services, we have vast experience in providing pre-project documentation: method statements, risk assessments, work specification, technical specs and some 3D drawings and modelling. 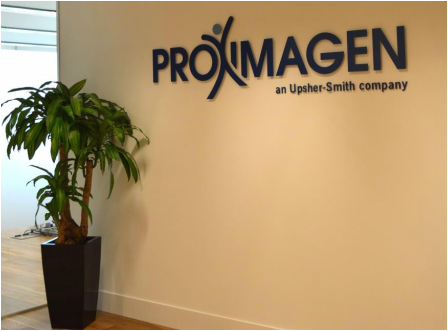 In recent years we have accomplished a number of office refurbishment London projects, various in size, complexity and requirements. We worked on projects where we started from empty shell, fitting out all services and structures from scratch up to handing over to the Client. 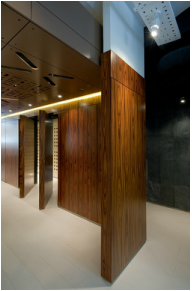 As well as the above, we worked on office fit out projects where we executed amendments to existing services and layouts, creating additional partition walls, changing type of use for existing rooms, amending existing services and lighting, applying new floor finishes and much more. In addition, we worked on projects where we were only improving existing office layout, refreshing surfaces and finishes, providing new floor finishes, creating customized carpentry and supplying bespoke furniture. Lastly, we run office maintenance service on regular, daily basis having a team of handy man specialists in our company. For some of our office fit out projects we were fortunate to execute works on non-operational office, for others we were running works along business-as-usual enterprise, liaising with office management to schedule our activity during “after office” hours. We price fair, keeping our margin to a project constant. This means that with any request of change to an office fit out London project specs, before or after starting a project, our customers are not afraid of being overcharged – we will always apply same profit margin for every estimate. If there are any additional costs, we always search for approval from a Client before commencing works. Furthermore, we always try to keep our prices as transparent as possible, providing detailed breakdown to costs of labour and materials. Our aim is to provide best possible London office refurbishment service and we understand well that communication with a Client is a key factor to achieve this. We have developed flexible project documentation’s template to be applied to different size projects. We aim to keep appropriate documentation updated and available online for all parties involved: architects, clients and our employees. For bigger projects we implement project management procedure to make sure we are fully in control of the construction process. We run regular communication meetings, keeping Clients informed about works completed and about forecast progress during next working period. We ask questions and listen to client’s expectations, ideas and suggestions and do our best to implement them into the project. We aim to provide the best possible quality of work. We plan our activities well, we use best possible materials and run thorough quality checks to completed tasks. We provide 12 months guarantee to all our works and longer guarantee on selected works. If there is an issue we resolve it quickly. We also provide post-project maintenance works carrying handyman services to cover all small requests from our Clients. For bigger London office refurbishments we run project management with use of PRICE2 methodology including: management to requests for change, planning and forecasting, milestones and much more. We can also introduce to a project authorized Building Control Inspector for all types of office refurbishment projects. We can provide most of required documentation for an office fit out London project: work specification, method statements, risk assessments, health & safety documentation and job specs for building management company. Suspended access flooring systems allow for wiring and further maintenance. Ease in wiring, cable management and installation of other services is a key point for flexible and easy to customize office. As a floor surface we can install, among others, engineered flooring, vinyl flooring including Altro flooring, carpet and carpet tiles. 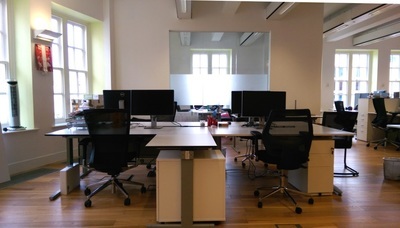 Office fit out carpentry including: 1st and 2Nd fix carpentry, bespoke furniture including cupboards, cabinets, desks, shelves tables, kitchen installation and other bespoke furniture. We provide service in planning and installation of various cable support and management systems including: underfloor trunking, floor boxes, perimeter trunking, wall trunking, conduits and cable tray systems. Correct data and electrical infrastructure are key elements of every office refurbishment project in London. We provide design and install service for 1 phase and 3 phase power supply offering: consumer unit installation, full rewiring, installation of lighting and electrical fittings. Furthermore, we offer electrical service and amendments to existing electrical wiring. Before carrying electrical works we run evaluation study to access your current and future requirements. We provide planning drawings and our work is backed with appropriate certification. We install various data cabling including fibre optic cabling, CAT6, CAT5 and much more. 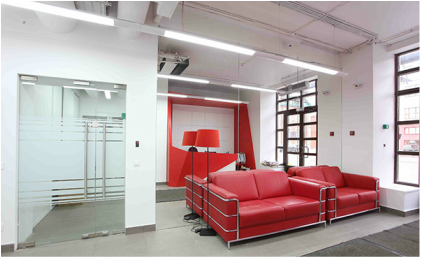 We are well experienced in installation of various lighting solution: office lighting installation, emergency lighting, fire escape route signage. Door entry systems, Security cameras systems, magnetic locks, fire alarms installation. 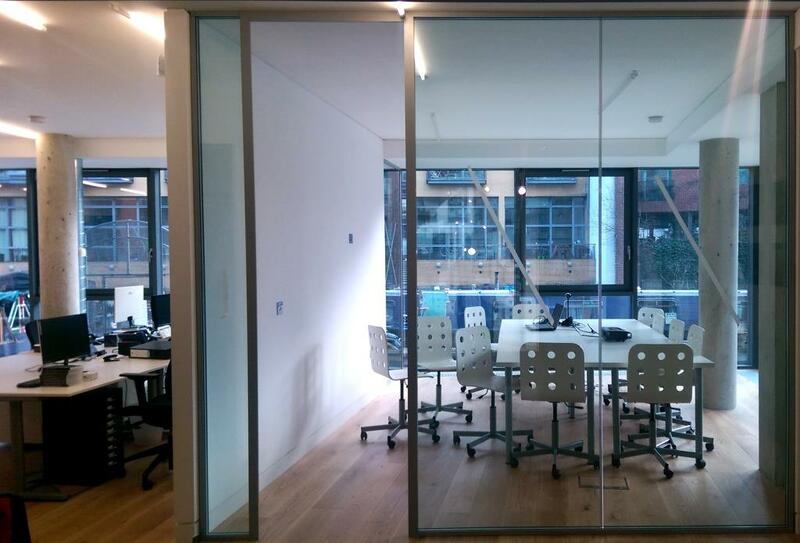 Glass boards, glass partitioning, glass doors, acoustic glass screens and doors. If you are planning to start an office fit out London project or any kind of office improvement project please contact us at your convenience and we will arrange a free consultation meeting and, after gathering required information, we will prepare you a detailed no obligation quote.